George RR Martin Reveals History Behind Purple Wedding! But, if Martin only based the Purple Wedding “a little” on Eustace’s death, what else did he base it on? In this Grantland article, Emily Yoshida and her mother suggest the death of Attila the Hun inspired the Purple Wedding. Over the next few days, we will be running a series of articles examining the similarities between the Purple Wedding, Prince Eustace’s death, and Attila the Hun. If Martin also used Attila the Hun as a source, did he not mention it because it could contain historic spoilers? Stay tuned for the series and you can be the judge. I think Cersei would have assumed it was poison even if it had been accidental choking. She’s pyschopathically paranoid that way. Craig, you’re absolutely right. Cersei is really paranoid. Well it’s not as though she doesn’t have ample reason to suspect that his death would be a poisoning. Even setting aside that he had just had some wine, there’s still the fact that there are very recent precedents of murdering inconvenient political figures, the person who died was personally hated by most of his court, some of his enemies are suspected to be using assassins to kill rivals, and he had just gone on a bout of humiliating his uncle, a man who threatened his life and previously threatened to ruin his mother’s life. Now, it wouldn’t really make sense for Tyrion to kill Joffrey this way. It’s too obvious, doesn’t give Tyrion any escape routes and Tyrion could have found ways to do it that wouldn’t lead back to him. But here’s where we see Cersei’s issues. She absolutely hates Tyrion and would automatically assume he had done it. You’re absolutely right on all accounts. (BTW, I love the way you put that “very recent precedents of murdering inconvenient political figures.” 🙂 ) I personally don’t understand Cersei’s hatred of Tyrion. I know she blames him for her mother’s death and despises him for being deformed, but somehow it doesn’t quite ring true for me. Although now Tyrion has, from her perspective, taken away two of her three children. Thoughts? There is more to it, but I’m not sure how canon that material is since it’s in the books and hasn’t been mentioned so far in the show. However the death of her mother, his poor appearance, her father’s personal hatred of Tyrion, a society that openly mocks him just for existing, a lifetime of poor relations with him and the problems with her children would be more than enough to create a relationship where, if violence is possible and you cannot be sure of your own safety, she would seek his destruction. 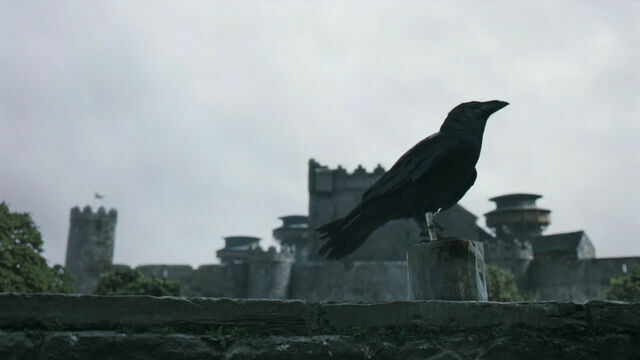 Anyway, political scientists have already talked about Game of Thrones and I’m not an accredited one yet, but if I were to analyze Westeros just before Robert’s death I’d be pretty nervous, and downright panicking after some of the things in the war. Just before Robert died he had a system where power had been forcefully taken from the previous central leaders and a major family had carried out the murder of nearly the entire previous ruling family. Just that alone means that any major war over the throne has become a fight for survival of entire families, and not just something that happened sometimes centuries ago. It gets increasingly common with Jon Arryn’s murder and Lancel setting up the king to die. Then that problem gets combined with the financial issues, unresolved grievances from the war, inability of the king to keep the peace and little unity towards a central government which means that sooner or later there’s probably going to be another civil war no matter how good Robert’s successor is. So already we’ve got a situation where power is taken through violence, violence is very likely to happen and if you aren’t powerful, you and your entire family might very well be killed. That isn’t always necessarily true of the feuds between families, but fights at the top make it clear that family security can only be gotten through power. Now during the second war it gets even worse. There are a number of them, but obviously the one that sticks out the most is the Red Wedding. Not only were most of the Starrk family and northern leaders murdered, it was done so at a place where Westeros culture considered violence to be unthinkable. They specifically have a story where a man was punished by the gods for doing it, equating violence to guests with an actual sin. And once a taboo is broken, well it might not be common but the fact that it was broken, the person who did it was rewarded for it and there were no consequences means that sooner or later something similar will happen. So now not only is your family only safe so long as you’re powerful, your family also can’t consider themselves truly safe in any place where their power isn’t firmly established. So it was already kind of likely from history and from how power was held specifically by families with no higher loyalty, but after the Red Wedding acts of murder and familicide are probably to going to be common. It’s the same way that everyone remembers Rwanda for 1994, but Rwanda had actually had mass killings about once a generation or so since independence. If these things keep happening, they start to become norms.